This month I’ve been finding myself drawn to black and white photography and questioning why I don’t shoot and share more images in black and white. If I look through my bookcase I most of my photography books are black and white, if I buy a photo magazine it’s always Black + White Photography. There was even a time, a few years ago, when I considered only shooting in black and white, so why do I do so little of it now? As I’ve started to shoot more and more still life I’ve started to love colour more and that’s certainly contributed to me producing less black and white work. But there’s a part of me that wonders if I’ve allowed myself to be subconsciously influenced by social media. Black and white images are never as popular as colour, which is completely understandable, a quick scroll on your phone and a colourful image screams for your attention. And while I know that the popularity of an image is in the hands of an algorithm and no reflection on image quality it’s easy to slip into a habit of sharing the images you know are likely to perform better. One of my goals for this year is grow as a photographer and paying too much attention to social media doesn’t really help with growth. So I’m aiming to create and share more black and white and I’m starting with this blog post! This month’s images were all taken on my new Fuji camera, it’s the first time in a long time that I’ve used my Lensbabies on a crop sensor and I have to say I’m very happy with the results. All images are taken with the Velvet 56 apart from the fourth one which is the Burnside 35. 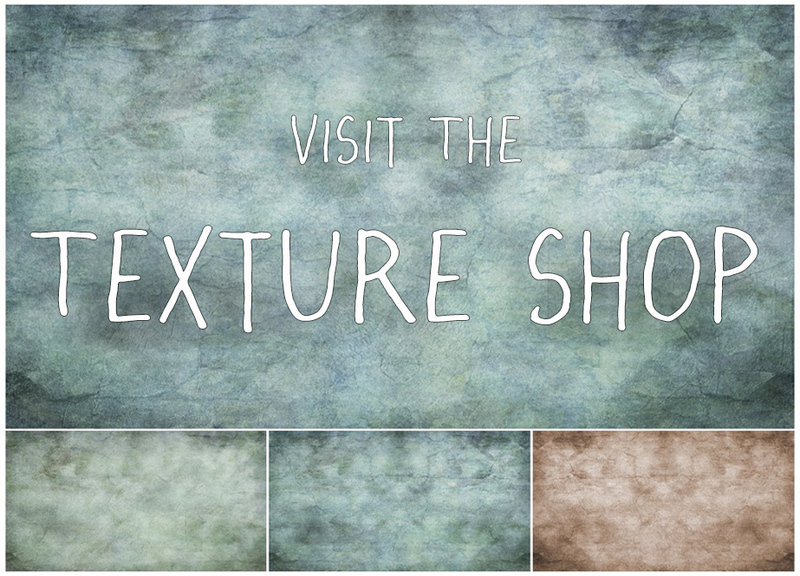 Textures used are from my Glorious Greys and the new Collection No 3, both available from my Etsy Shop. Next up in this month’s blog circle is Ute with some fantastic portraits, please click here & then follow the links around the circle for some Lensbaby inspiration! 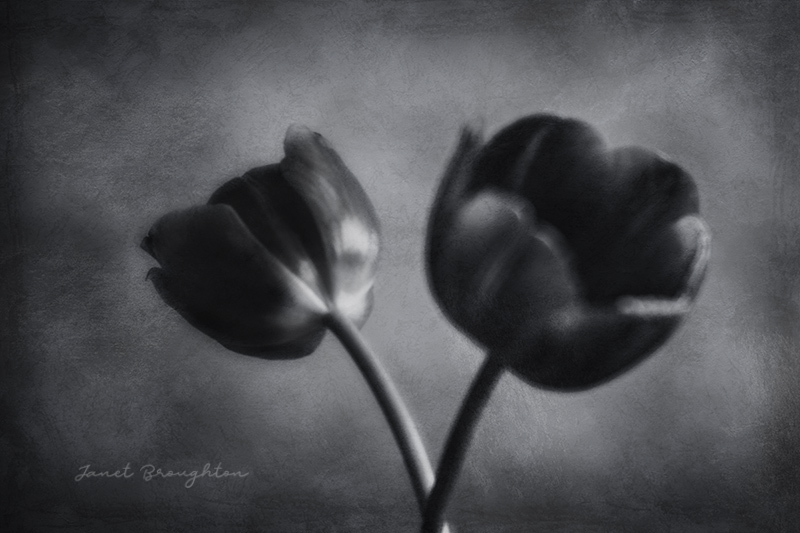 I think still life gets more still if it is in black&white – like on the next level. It’s like fasting colors. Coming back to the important things – color may distract from the subject. 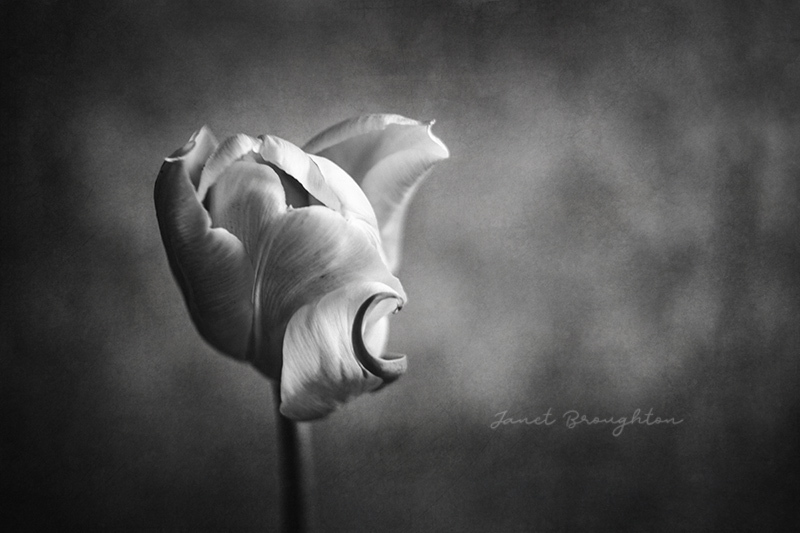 Still life in b&w is unfamiliar and so special. I think it is not easier, on the contrary, it’s harder to turn the colors into the right shades of gray. We are so oversaturated in many ways that it is like coming down and it’s doing well. I love the tulips and the way you see them. 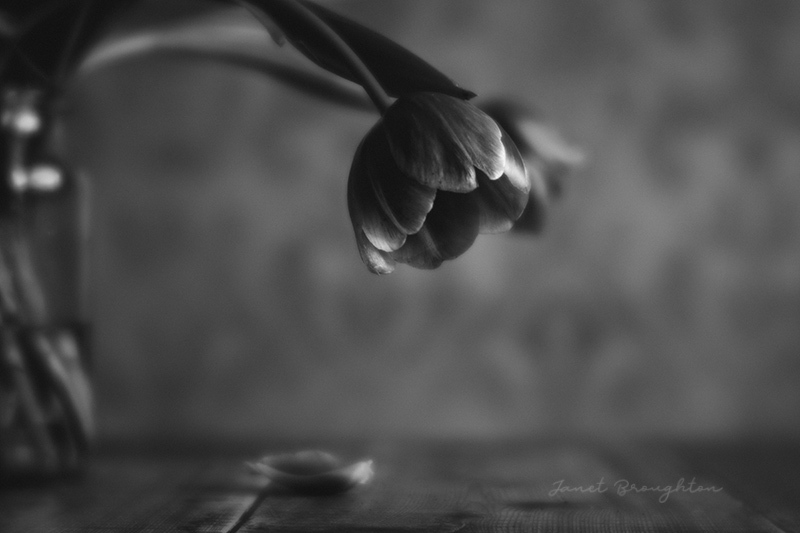 Thanks so much for sharing your thoughts Birgit, I had never thought about still life being even more still in B&W but that’s so true! 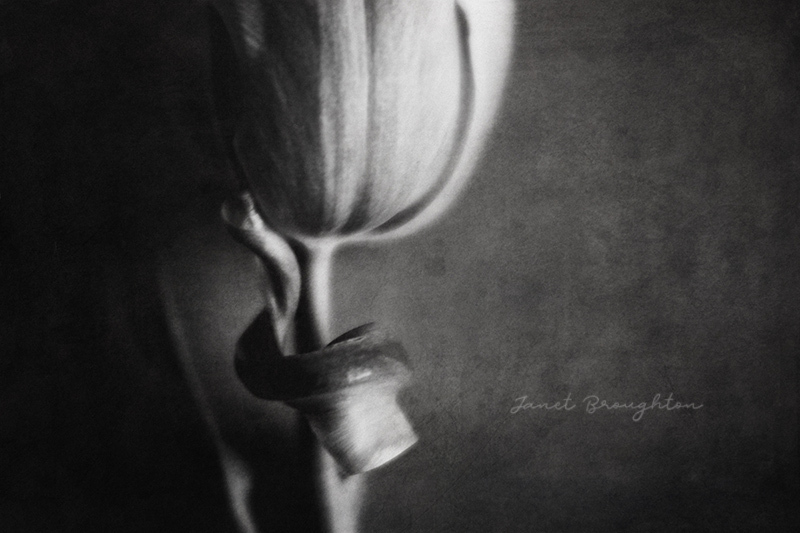 Wonderful pictures, I agree with Birgit, it takes still-life photography to the next level. Great point made about B&W images and social media. Although I mostly create color images, I am very much drawn to well created B&W ones, like the ones you posted here. Many people don’t know that creating B&W images is another level of photography. Great post, Janet. Color or black and white, I always love your pictures, no matter which style you use. How do you like your Fuji? Thanks Ute, that’s so kind. I really like the Fuji, it does have some limitations compared to my full frame DSLR and I don’t think it would ever totally replace that but it’s lovely to have something thats so much lighter for those times you want to take a camera on the off chance of seeing something to shoot. 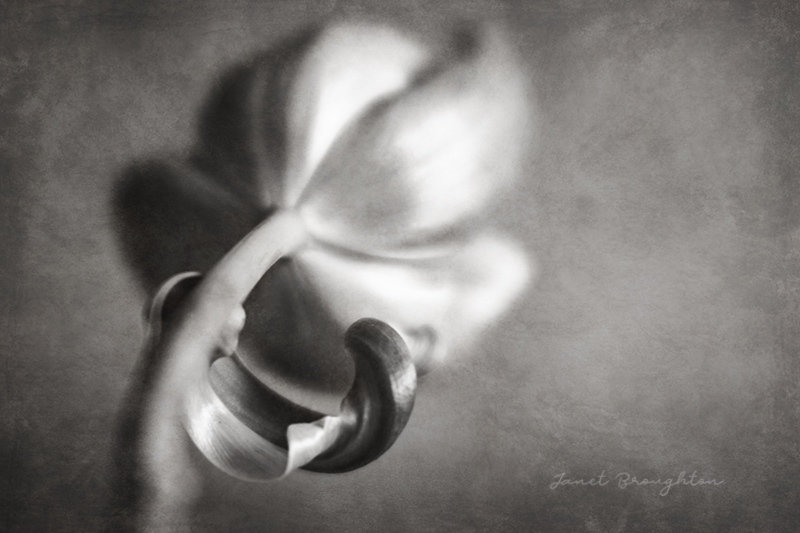 A beautiful selection of black & white images Janet. I too prefer black & white. There is just something about the depth and tone, and I am so glad you are returning to this part of your photography. 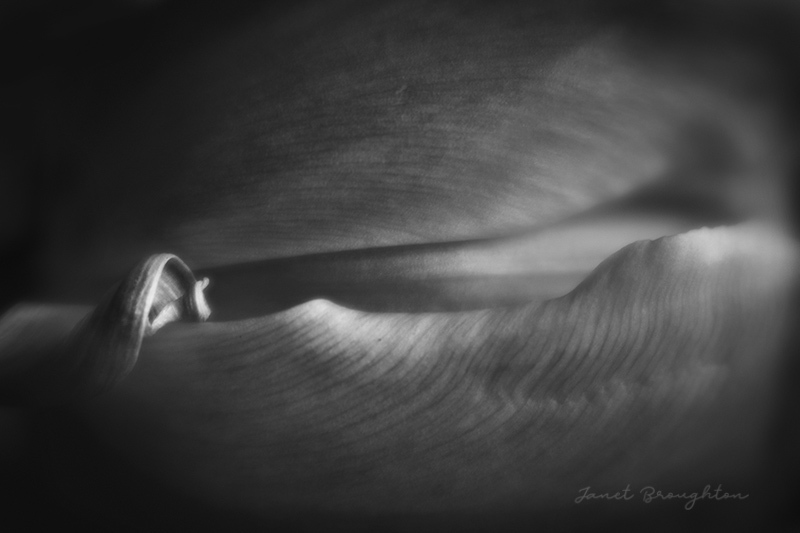 I particularly liked the third image which is a close up of the tulip petal, it reminds me of the ocean waves. Glad the Fuji is giving you creative scope too. Thanks Mel, I do love my B&W but it’s so easy to be swayed by the “feedback” on social media!